【Summary】The second biggest U.S. ride-hailing startup Lyft Inc. has filed confidential paperwork for an IPO, indicating its plans to go public in 2019. Lyft would be the first company to allow investors to buy into the rapidly growing ride-hailing industry. The second biggest U.S. ride-hailing startup Lyft Inc. has filed confidential paperwork for an IPO, indicating its plans to go public in 2019. San Francisco-based Lyft would be the first company to allow investors to buy into the rapidly growing ride-hailing industry. 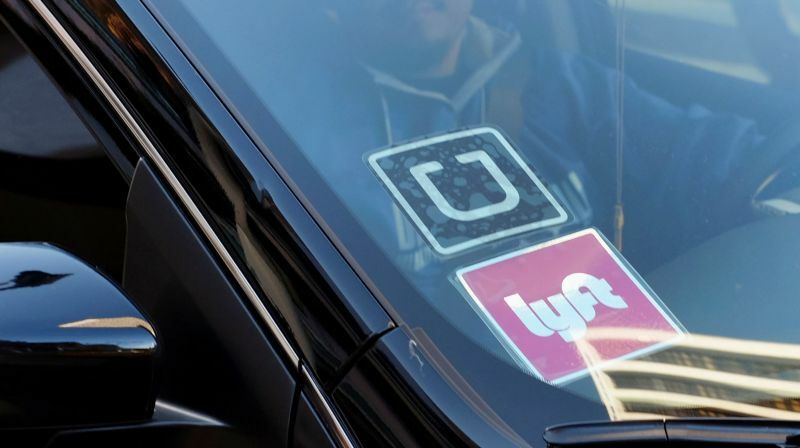 The confidential draft registration statement was submitted by Lyft to the Securities and Exchange Commission on Thursday morning. Lyft's IPO is one of the most anticipated Silicon Valley debuts in recent years. The company's confidential filing indicates it likely remains a step in front of rival Uber to be the first to file an IPO. In October, Lyft has hired J.P. Morgan Chase as the underwriter to lead its initial public offering. Lyft is Uber's biggest rival and has been aggressively competing against Uber for a bigger slice of the ride-hailing market. The company did not specify the number of shares it was selling or the price range in its filing. Lyft is the much smaller of the two ride-hailing companies. Lyft's latest valuation was $15.1 billion, while some Wall Street estimates put Uber's valuation as high as $120 billion. Recent volatility in the stock market could steer some companies to go public sooner than expected if they foresee a further downturn. The ongoing trade tensions could also delay some planned IPO's, or even force companies to shelve their plans until more favorable market conditions prevail. The IPO will be a test of how investors will value these types of "gig-economy" companies that rely on independent contractors instead of employees. The legal classification of workers has been a major issue for both Uber and Lyft. Uber has been hit with dozens of lawsuits in recent years claiming that its drivers are employees and are entitled to minimum wage, overtime, and other legal protections not afforded to contractors. New York became the first U.S. city to adopt minimum pay for app-based drivers following a vote this week New York City's Taxi and Limousine Commission. The rate was set at $17.22 per hour after expenses. The organization said the hourly rate is the equivalent of the city's employee minimum wage, which is $15 per hour. The new pay rules go into effect at the end of the year apply to car services, not just Uber and Lyft. Although Lyft and Uber Lyft have received huge sums of money from private investors at high valuations, the ride-hailing companies still require additional capital as they generate big losses. Lyft posted third-quarter revenue of $563 million, up 88 percent compared with the period a year ago the Wall Street Journal reported. However, the company reported losses of $254 million in the quarter. Lyft launched in June 2012 and operates in approximately 300 U.S. cities, including New York, San Francisco, and Los Angeles. The company is also developing on self-driving technology in its Lyft Level-5 office in Silicon Valley. In September, Lyft reached a major milestone when it completed its 1 billionth ride-hailing trip.